If you're into biking already, with some upperleg strenght. 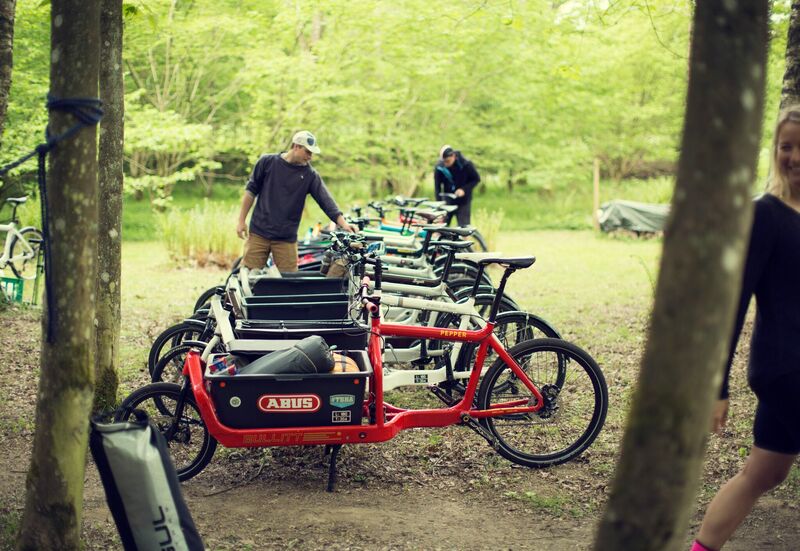 And you like to cover some distance on your pedal power, than please take our Bullit cargo bike. They're awesome! It's mainly bike messengers riding them...and Ecabike. They are fast and can carry a lot of equipment. They look very cool and their handling is amazing, like riding your MTB or tour bike. And yes they pack at least twice the volume of a regular trekking bike!